Really? Have you tried and had success? People are being held back from success usually because of fear of success. When in doubt it brings us down by lowering our confidence and self-esteem. Being afraid of failure to succeed is the most common fear we have. Once you realize what is causing your fear, you can move to techniques of self-talk to change the conditions, we are told. 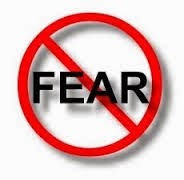 Fear affects the mind and body causing us to let ourselves down as well as others around us. No doubt about that. Self-talk will help you to do anything you want when your use positive thinking. Some people are afraid to climb over a fence. To overcome this fear of going over the fence, tell yourself you can do it. Face it and force yourself to go over the fence to the other side. 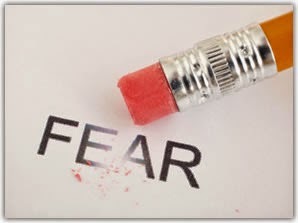 Overcoming a fear systematically and self-talk your way through each step will help you to accomplish this fear. Think positive you can and will do it to succeed. Doesn't it all sound good and nice and then in REAL life it does not seem to work? Did you not think positive enough? Or....maybe you did not actually BELIEVE what you tried to tell yourself? or is it the TRY that stops you from having success in re-programming yourself? or are you too impatient? You think it should be working NOW , right away? Self-confidence and esteem will help you to overcome other fears as it grows. Once you manage to overcome one fear the next one will be easier because you did it once now you can do it again to get where you want to go in order to succeed. Use positive thinking and self-talk to learn the techniques of reprogramming your mind to think positive. Do not let your conscious and subconscious tell you that something cannot be done. If you think positive instead of the negative things, you will soon learn that you can do anything you want and succeed by being positive. Challenge your fears and work your way through the process by being positive. Do not run from your fears of success. Make a decision that you can and will become the master at overcoming my fear of success or a certain fear. Gain self-confidence with positive thinking, and self-talk. Tell yourself that you are in control of your life and fear is not going to get in the way. Once you get over the fence, you will gain self-confidence and self-esteem because you told yourself you could do this and you did. In order to become the person you want to be in the future you need to be positive and overcome the fact that you failed once because of thinking negative things. Gaining self-control and thinking process will reprogram you; mind and soon you will be positive thinking and will not even realize it. Tell yourself that you will take control to unburden your mind and body. You take all the good and bad things in life with positive thinking. Use positive thinking and self-talking to stay in control. Tell yourself that with confidence and self-esteem you can master anything. Direct yourself to take control. Take the good with the bad and learn how to make it positive. Blurting out to yourself with positive thoughts and inner strength you can be in console. Express yourself with confidence and self-honor so that you can master all obstacles that come your way. Everyday something happens and if we are thinking negative things, all the time our fears will increase and than we lose, self control. We learn from making mistakes and being positive that we can overcome something we can learn from our mistakes and keep them from happening again. Mistakes make all of us a better person for tomorrow. Being positive will strengthen your confidence and self-esteem to be the person you have always wanted to be. Find Ebooks here to help you on your journey of changing the way you think.